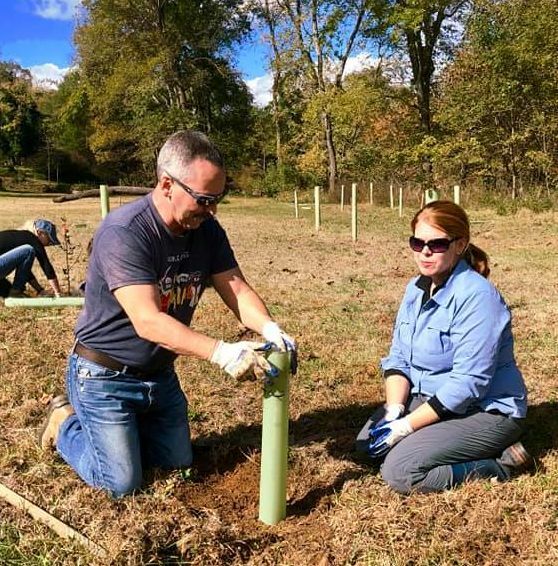 Friends of the Rappahannock is looking for volunteers to help us plant trees along the scenic Thornton River on a farm in Rappahannock County Virginia. All participants must complete and sign a WAIVER. Any participate under 18 must have a waiver signed by a parent or guardian. Three incredible riverside trail heads into Shenandoah National Park are only a short drive away which makes this a perfect part of a full day escape into the mountains! Additionally, if you like to fish, the landowner has given special permission for volunteers to fish this stretch of the Thornton River after planting trees. All anglers must have valid fishing licenses. Once you turn onto Thornton River Farm Lane, follow signs for tree planting project. This will lead you past several barns, and up a hill.